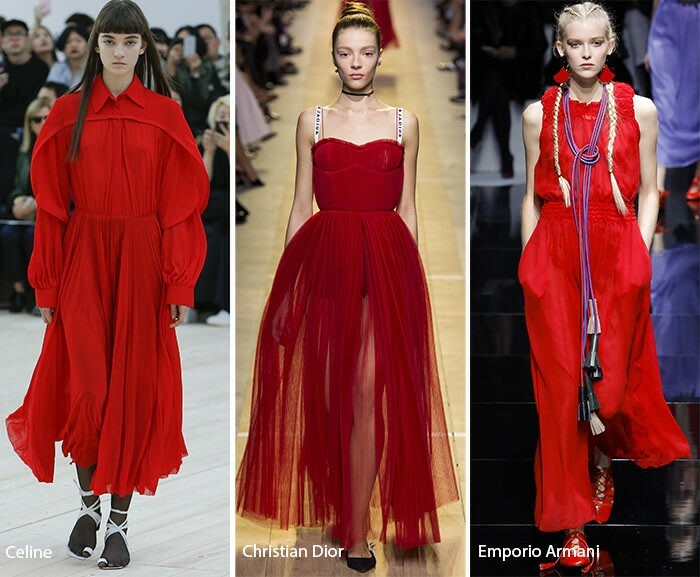 The 2017 Autumn trends offer a little red shade ranging from scarlet to crimson, even burgundy. Who knows, the bold and warm undertones for the season could provoke a meaning of political statement by our favourite designers and runways. The ever-so stunning silhouettes in red are further enhanced with touches of pink – which make the strongest impact. There is no room for doubt any more; every woman needs to be in the mood for experimentation. The delicate, shimmering fur by Blumarine is one of the grandest fashion trends this season – think; extra chic with a ravishing 1920’s accessory. Yearning for some manifestation? Alberta Ferretti’s red monochromatic gown can help with that. Why not end the show with a mixed colour scheme by Gucci? Soft, sensual furs that can take your look to a more aesthetic level. 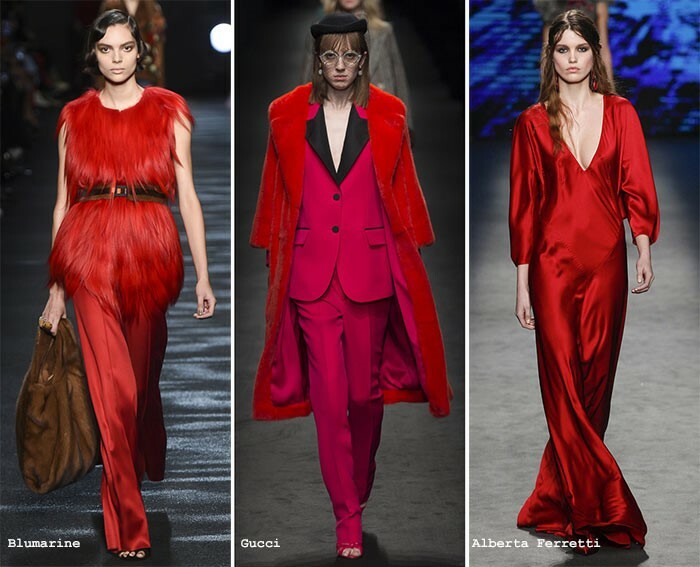 Red is not for any shy woman – the recent runways tell us a story of passionate femme fatales drenched in voluminous ensembles. From Dior’s burning lava tulle dress and Celine’s french feminine gown, the autumn season has never looked so hot. Emporio Armani takes a soft approach to the trend – accessorising with red tones enhances the bold style. A must-try test in any woman’s life.